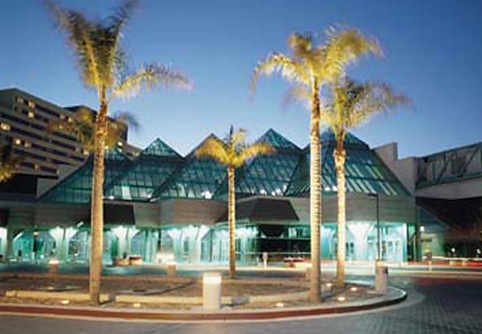 Engineering and design of a new 262,000 SF convention center consisting of exhibit halls, auditorium, meeting rooms, grand ballroom, kitchen, administration offices and support facilities. Project included the design of 12-KV electrical service, site power distribution and communication systems, building power distribution, emergency power, indoor and outdoor lighting, monitoring and alarm, telephone, computer and data, intercom, public address and security systems. 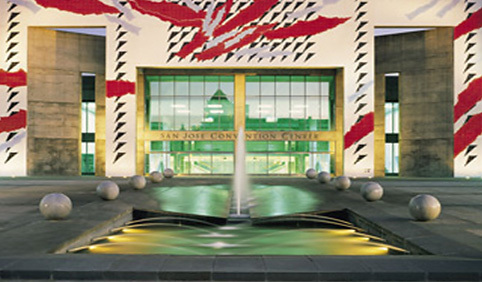 Engineering and design of a new 80,000 SF building structure as the additional exhibit space for the McEnery Convention Center. The building electrical systems included electrical and telephone services, power distribution, lighting, communications, fire alarm and security systems. Services included the preparation of plans, specifications, estimates and assistance during bidding and construction. Electrical engineering and design services for the Greater Downtown Streetscape Master Plan in San Jose, encompassing the general area bounded by 7th and 4th Street to the East, Stockton Avenue to the West and Coleman Avenue to the North, Highway 280 to the South. Street improvements including street lighting, pedestrian lighting and festoon circuits on Almaden Avenue between Santa Clara Street and San Johns Street. Engineering and design of improvements for two office and administration buildings (150,000 SF and 124,000 SF) for the Santa Clara Valley Transportation Authority. Improvements for these two buildings included the design of power distribution, lighting, communications, fire alarm and security systems. Services included the preparation of plans, specifications, estimates and assistance during bidding and construction. 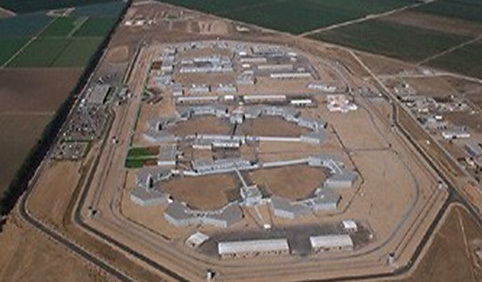 Preparation of construction drawings, specifications and cost estimates for a new 2,224 bed California State Prison on a 290-acre site, consisting of maximum, medium and minimum security inmates. The work included the installation of two (2) 2000 kW emergency diesel generators, 12-KV normal and standby underground power distribution systems, security lighting and control systems, primary switching station, interface with local utility and conduit and duct bank systems for telephone, fire alarm, voice, data and intercom systems. Design of power and control systems for water pumping stations and waste treatment plant. The security system included a 5.1-KV electrified fence and CCTV system. The project also included cathodic protection system study and installation using galvanic anodes for water tanks and buried steel pipes. The project involved improving approximately 1,500 feet of B Street, between Watkins Street and Foothill Boulevard in City of Hayward. The project included relocation of existing ornamental streetlights, installation of custom made column lights, monument sign uplights, tree receptacles, and new electrical service pedestal. 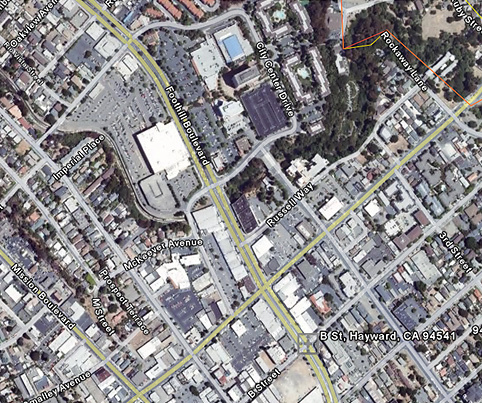 The project also included relocation of the PG&E electric services in the basements of five properties. Our services included regular coordination meetings with PG&E; coordinating service point locations with property owners, utility companies, and City of Hayward; identifying and preparing plans for each property affected which shows the new service point locations the rerouting of the new services, and the details of the proposed improvements; designing new street lighting system including photometric calculations, circuiting and details; and preparing specifications and detailed cost estimate. The project involved improving San Pedro Street between Santa Clara Street and Saint John Street. The project included sidewalk widening, streetlight relocation, and installation of ornamental lighting for pedestrians and sidewalk cafés, festoon power circuits on the lighting poles, and electrical services to traffic signals and irrigation controllers. Our services included designing new street lighting and ornamental lighting system with photometric calculations, circuiting and details; coordinating electrical service point locations with PG&E and City of San Jose; coordinating adjustments and relocations of the existing underground utility services with utility companies; and preparing specifications and detailed cost estimate.